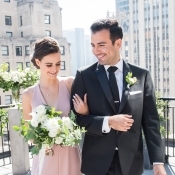 If you’ve been dreaming of something sophisticated and elegant for your big day, but want to keep the nuptials intimate, a modern rooftop elopement couldn’t be more ideal. 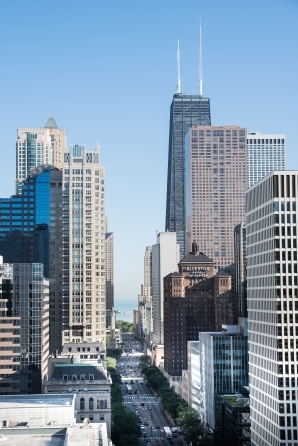 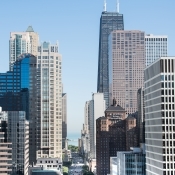 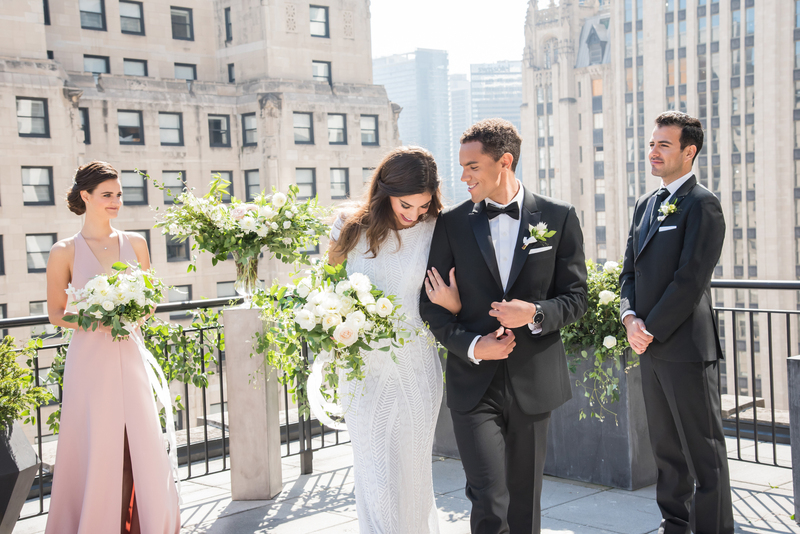 With just you and your fiancé, your closest friends, and the stunning Chicago skyline as the backdrop, this urban elopement is modern sophistication at its finest! 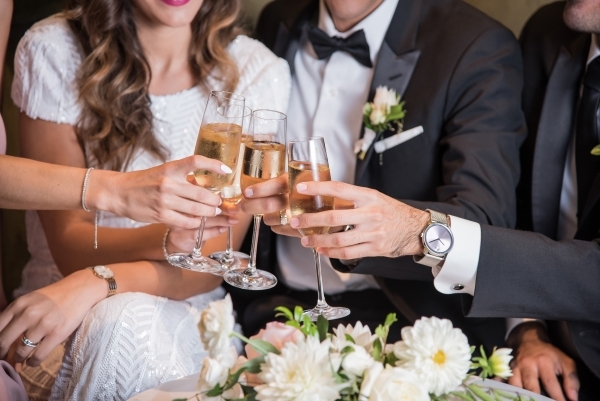 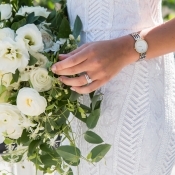 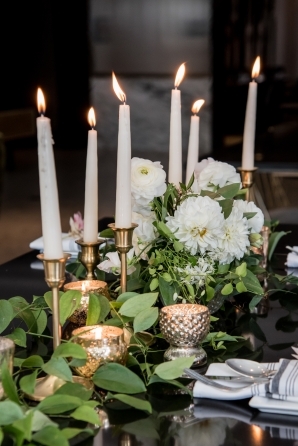 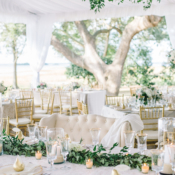 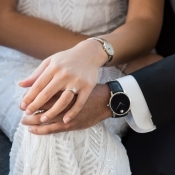 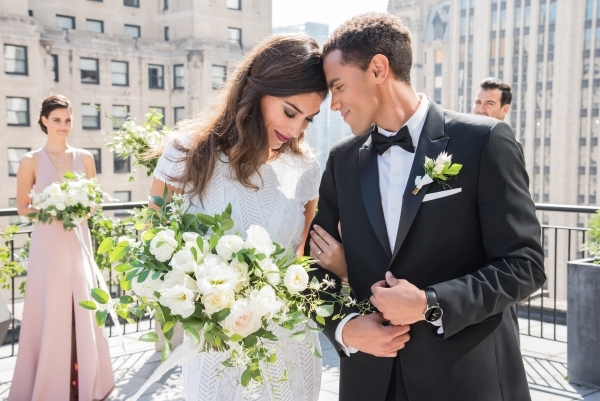 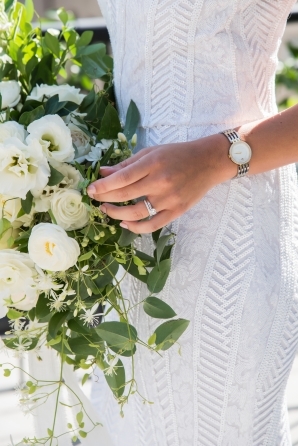 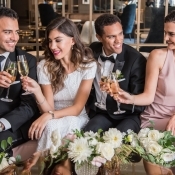 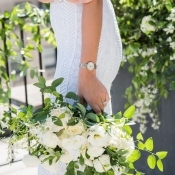 Timeless watches by Movado from Kay Jewelers were the perfect gifts to accompany the chic setting, captured beautifully by Belen Aquino of Gerber Scarpelli Weddings. 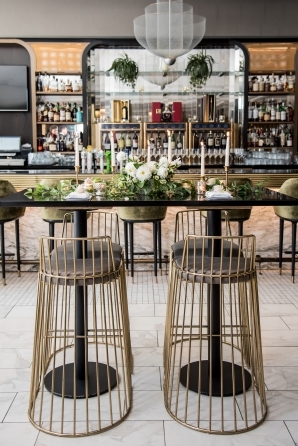 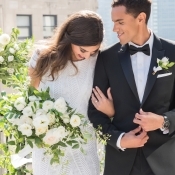 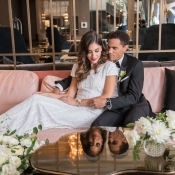 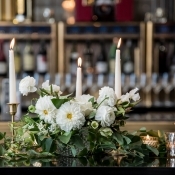 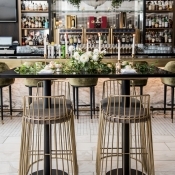 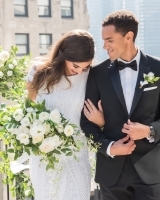 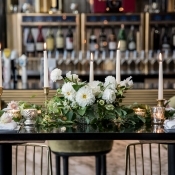 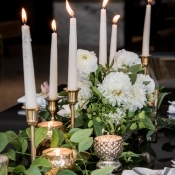 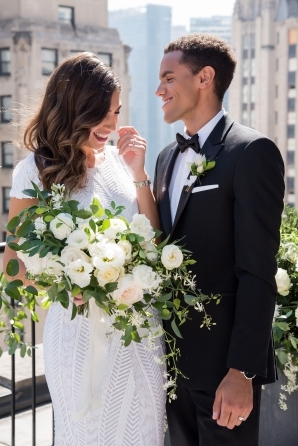 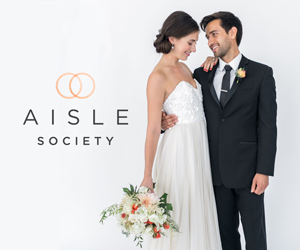 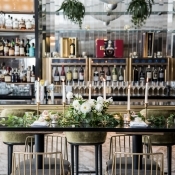 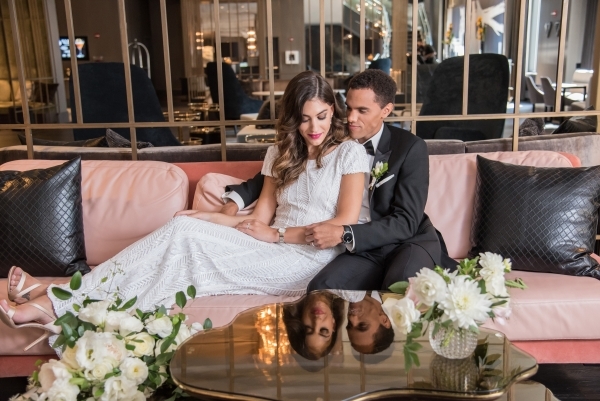 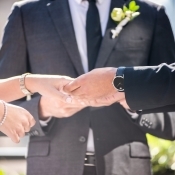 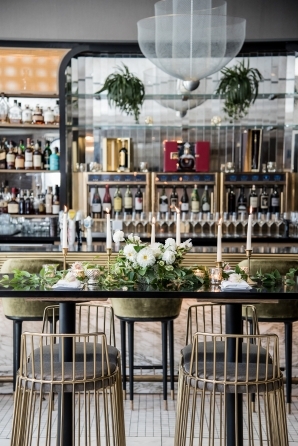 Set on a private terrace at The Gwen Chicago, overlooking Michigan Avenue, our couple enjoyed a relaxing time getting ready together before they said “I do”, allowing for some intimate moments, especially when it comes to giving gifts. 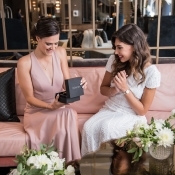 Couples often trade gifts before the wedding, but doing it together allows you to see your loved one’s reaction and really enjoy the moment. 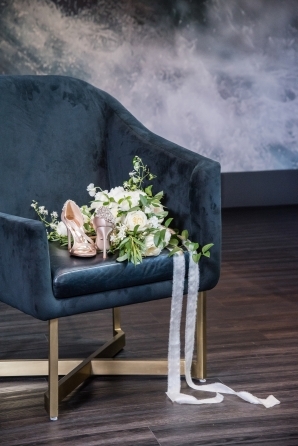 This bride truly values timeless luxury and wanted to surprise her groom with something special. 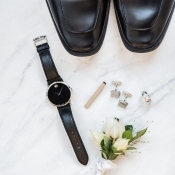 What better choice than a heritage timepiece by Movado from Kay Jewelers? 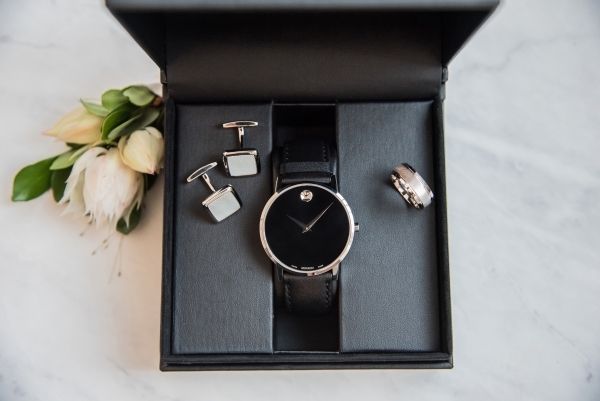 Their sophisticated designs and impeccable craftsmanship make this gift something to cherish for a lifetime. 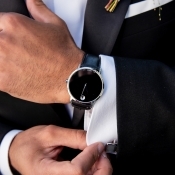 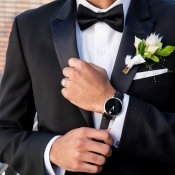 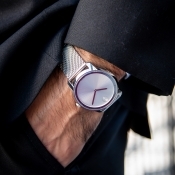 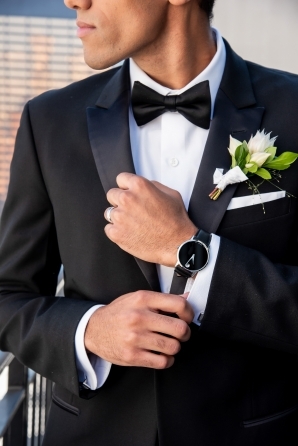 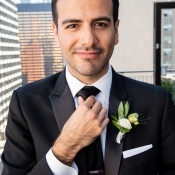 The chic black timepiece is perfect for this modern groom and looks oh so dapper with his suit! 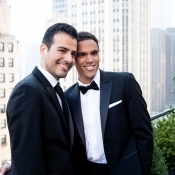 Elopements are the best because they allow you to only have the most meaningful people by your side for your wedding. 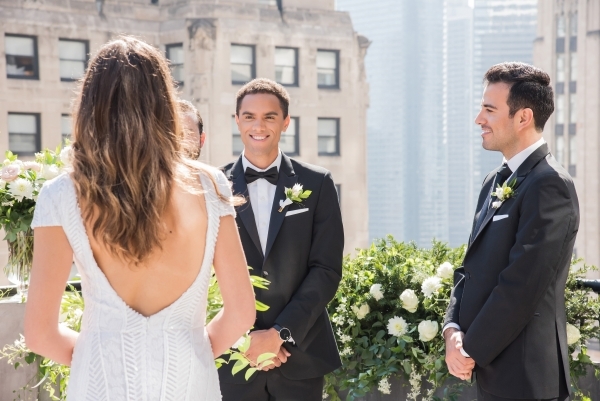 This best friend has stood by through it all and the bride couldn’t imagine her big day without her. 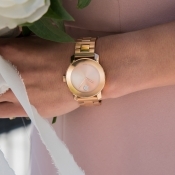 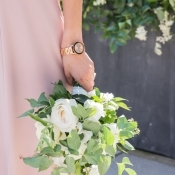 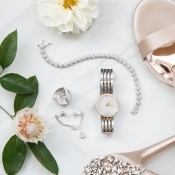 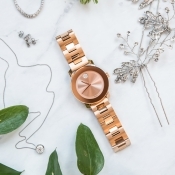 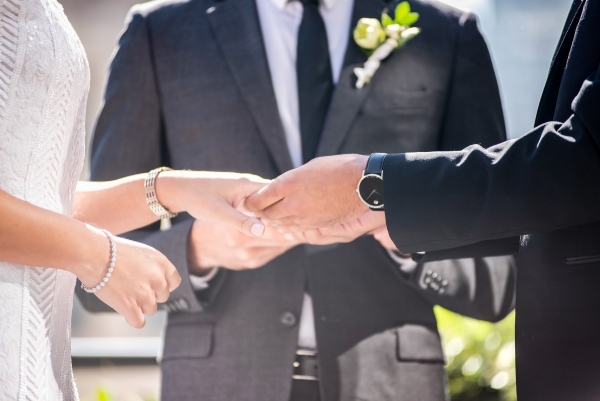 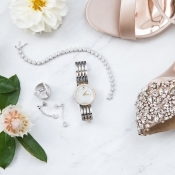 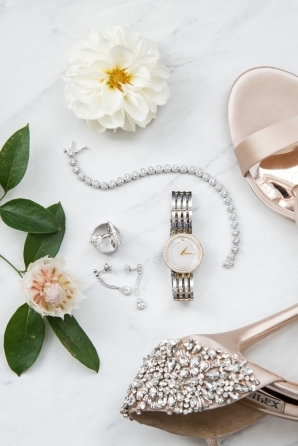 Giving her a gorgeous rose gold Movado watch is just one way to thank her on the most important day of your life, not to mention the perfect way to finish off her look as maid of honor. 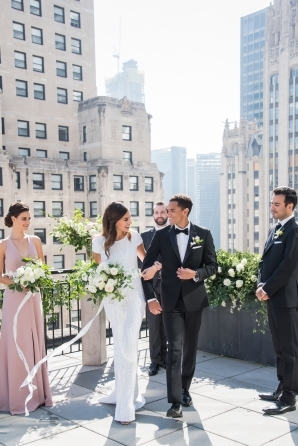 The best part about rooftop ceremonies? 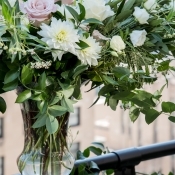 The stunning backdrop is already provided! 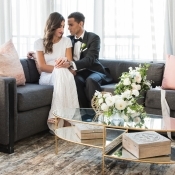 Just a few well-placed lush florals designed by The Petal give an added touch of warmth to the space for a picture-perfect result. 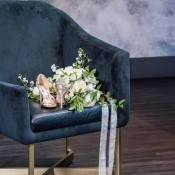 And let’s not forget the bride’s chic style! 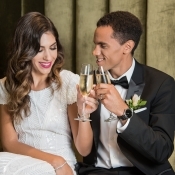 With a sleek embellished gown from Alyssa Kristin, glamorous waves and a gorgeous glow styled by Bianca Sansosti Artistry, and a beautiful Movado watch herself, her style is on point. 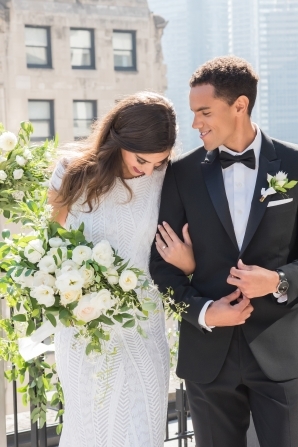 Just add the dreamiest bouquet with ribbons that catch that windy city breeze and the look is complete. 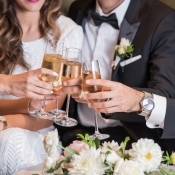 After a ceremony this beautiful, champagne and cake is in order! 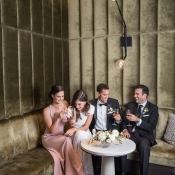 Clover Events and The Petal designed a modern reception-for-4 in the fabulous lobby of The Gwen. 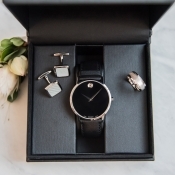 On the hunt for that perfect wedding day gift or maybe something special for yourself? 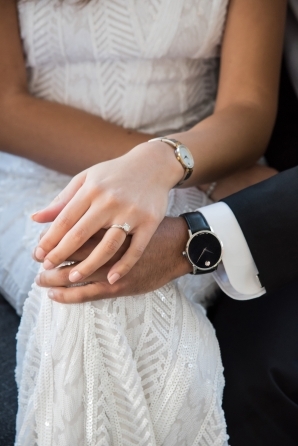 Check out the beautiful line of Movado pieces at Kay Jewelers! 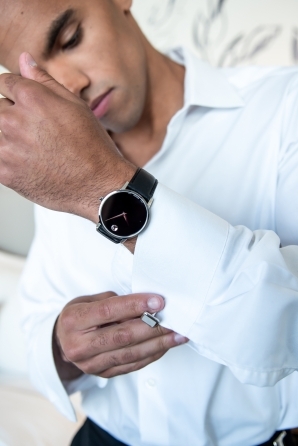 Compensation for this post was provided by Movado for Aisle Society. 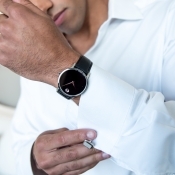 All opinions are the author’s own and are not endorsed by Movado, Kay Jewelers, Aisle Society, or their affiliates. 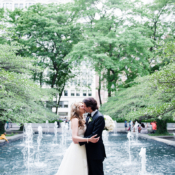 Gushing totally deserved!